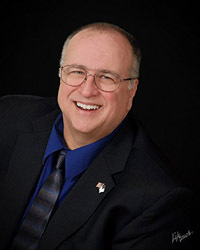 Mike Skeen worked in government service for over 30 years and wrote hundreds of fact-based reports. After retirement, he took this writing experience and, using the fears currently expressed by many, began writing fictional stories of the future of government in the United States. Mike and his wife Beth have been married for 20 years and have five children/stepchildren and nine grandchildren. Mississippi Congressman TJ Samuels is dissatisfied with the direction in which the federal government is moving, so he runs for President. His goal? To shrink the size of government and bring the national debt under control. As President, TJ works to advance his radical new ideas, but soon discovers that other radicals have ideas as well. A smallpox epidemic is launched by undocumented immigrants, while Russian ICBMs are placed in Venezuela. And that is only the beginning as T J soon is faced with foreclosure by the Chinese and with military actions all over the globe. TJ is challenged by secret organizations, naval blockades, laser weapons, and new uses of nuclear weapons—all in the first six months of his presidency. 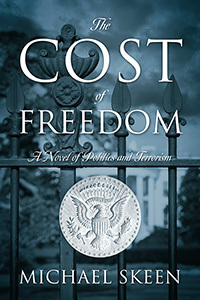 With support dwindling quickly and even his friends becoming involved in assassination plots, TJ realizes that his noble quest to improve the status of the government is spiraling out of control. Who is the real enemy behind this steady stream of crises? And will the United States survive?